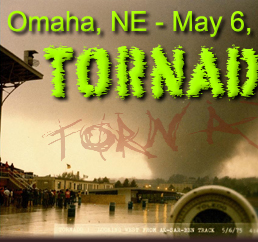 1975OmahaTornado.org would not be possible if it were not for the many contributions (some unknowingly, I'll admit) to this site. However, I do not want to take credit for anything other than compiling all the information into one location. I kindly borrowed a color photo from this site. Thank you, Cindy, for your time and providing and trusting me with your story, your pictures, and your newspaper article. You really have made a wonderful contribution to the site! Thank you, Dan, for your time and providing and trusting me with your story, your pictures, and your home movie. You really have made a great contribution to the site! The use of this software allowed me to create the path of the tornado overlayed onto the detailed map. Technology is awesome! 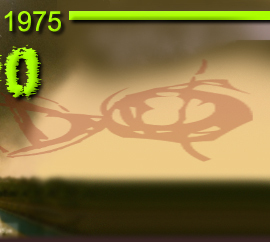 I was able to create the tornado path overlay along with points of interest! This really boosted the site! Thank you, Uncle, for having my family and I to your home the summer of 2004 and for sharing your story and inspiring me to create this site. This is a tribute to you and your high spirit. May you rest in peace. Thank you, Jeff, for contributing your writing and artistic talents. They really add to the site! Finally some footage of the actual tornado! Thanks guys! I kindly borrowed the damage photos from this site. I kindly borrowed the story and some photos from their newspaper. After scanning the entire 50 pages of the Disaster Response: The 1975 Omaha Tornado booklet, and then returning it to Dan in Omaha, my hard drive crashed. It was complete operating system failure. Paramount Technology spent 8+ hours retrieving the data for me at a fraction of what it would normally cost. Thanks, guys! I would have hated to have to ask Dan to send the 30-year-old booklet again. This was my first contact. After contacting Bill, he contacted Cindy, who then contacted me. Thank you for your help. As a restult, the site has and continues to grow into a wealth of information.